As most non-industrial peoples do, the Australian Aboriginal people made their own utensils, clothing, shelter, homewares, ceremonial artifacts, hunting materials, and decorative items to assist in and enhance their day to day lives. 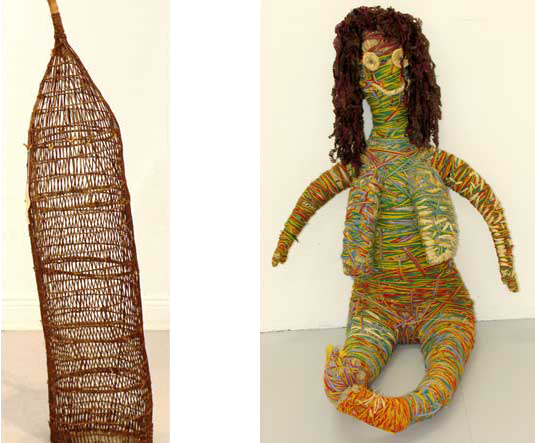 Fibre art was and is a big part of this, and many of the articles made certainly deserve the term 'artwork' for their beauty, design, and originality. The important fish traps of the northern peoples are a good example of how practical objects can be artworks of beauty and importance. Of course, that was not originally the intention, as apart from their functional application, the traps were fashioned from fibres to be lightweight and transportable for their partially nomadic lifestyle. The same goes for other functional and decorative items. Fibre art is now another arena where time honoured skills can be used to fund modern life, and where artistic recognition and a degree of prosperity can be derived. The Tjanpi Desert Weavers is a fascinating group, operating out of Alice Springs. The organisation collects sculptures and artifacts from all around the mainly Central and Western Desert areas and sells them through a cooperative arrangement. Generally made from desert grasses, and frequently in the subject matter of surprised bush animals, the Tjanpi works reign supreme as quirky and original sculptures with a real feel of the Australian Bush. 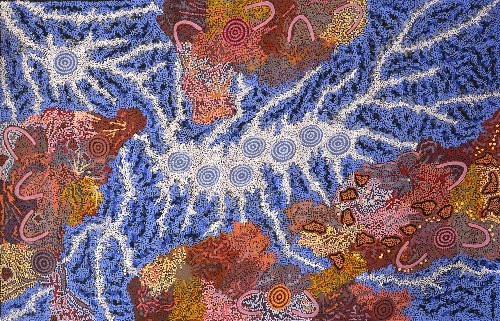 Many of the Tjanpi artists are well known painters in their communities as well – the sculptures being a different way in which they express their stories. 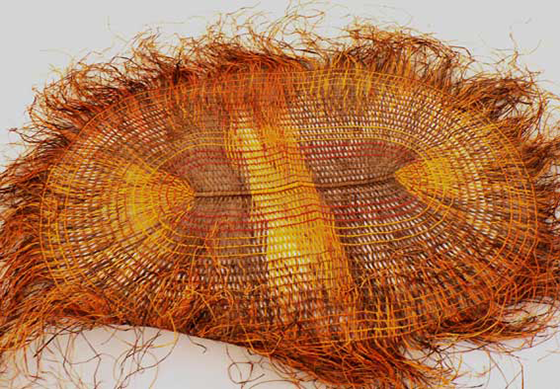 Other important fibre art comes from Communities such as Maningrida and Bula Bula, where a wide range of mats, fish nets and other three dimensional forms are produced.